Key Difference: Both outsourcing and offshoring deals with the activities which are being performed externally. If the work is being done within domestic limits by a third party, it is known as outsourcing and if the activities are being performed at a location outside domestic limits i.e., in a foreign land (with or without the involvement of third party) then it is termed as offshoring. Outsourcing refers to an arrangement in which a business process is transferred to outside contractors (third party). The outsourcing may be done for certain manufacturing operation, administrative activities, training of the workers, etc. Primarily, outsourcing is done in order to cut the expenses. For example, a company may find it easy to outsource the hiring process than to conduct the hiring itself as it would be expensive to hire in house professionals to do this task. The hiring firm will be skilled enough to achieve good results for the company. IT outsourcing and technical/customer support are two most common outsourced streams of business. 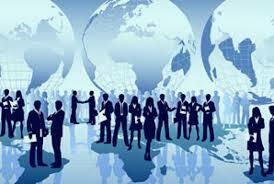 Offshoring refers to the process of carrying out the business process in some other country. It can be in context to either production or services offshoring. The obvious question would arise here is that why a company would like to carry out the business processes overseas. The answer to this question is that the advantages are similar to outsourcing. This is mainly done for taking the advantage of lower costs. Offshoring can be done without necessarily outsourcing it. 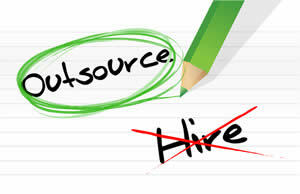 Similarly outsourcing can be done without necessarily offshoring it. Outsourcing works within domestic limits. It essentially requires the involvement of a third party. However, offshoring is essentially done beyond the domestic boundary. It may or may not involve the third party. The company may itself also just shift its base for some or key operations in a foreign land. Offshoring also includes focusing on strategies and policies of the county, where the work is being offshored. Offshoring has been also criticized for many reasons. People feel that their jobs are been taken away by some other people belonging to other country. Companies primarily look into the profit making scenarios, and an apt offshoring decision may being several benefits for the company apart from just profit making like making an international presence. Outsourcing refers to an arrangement in which a business process is transferred to outside contractors (third party). Offshoring refers to the process of carrying out the business process in some other country. It can be in context to either production or services offshoring. Opportunity to concentrate on more core activities by outsourcing the other ones. To overcome certain regulations which are constraining the operation is some or the other way. May provide right "local" partners to expand. A U.S. based car manufacturer contracting other U.S. company to produce some parts. A U.S. based car manufacturer transferring the production of some parts to a manufacturer in China.